The new tax reform bill signed into law by President Trump reduces the amount of state and local taxes a person can claim as deductions on his or her 2018 federal tax return and fewer people may itemize deductions on their 2018 return because there’s a larger standard deduction. The federal tax legislation that takes effect January 1 will cap the state and local deductions on federal tax returns at $10,000. Since the passing of the tax bill, there’s been much discussion about whether or not residents could prepay their 2018 property taxes before the end of the year. This notice is being posted to address inquiries we have received from several resident homeowners about prepaying 2018 real estate taxes. Please be advised that Tredyffrin Township cannot accept prepayments of 2018 real estate taxes. The Township is prohibited by the Pennsylvania Local Tax Collection Law (specifically, 72 P.S. §5511.15) from collecting taxes that have not been assessed yet. 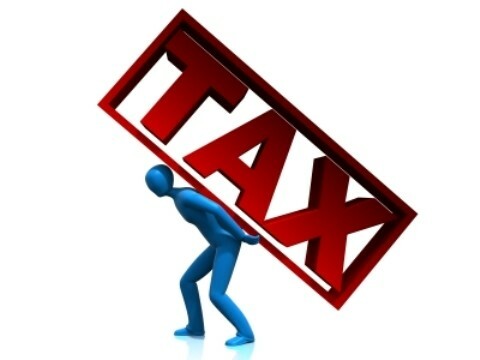 The Township does not issue the new tax assessment until January of 2018 and therefore cannot accept payments before that point in time. Also, be aware that the IRS issued an advisory notice on December 27, 2017 that it will not allow any deduction in 2017 for 2018 property taxes unless those taxes were assessed and paid in 2017. As stated above, the Township’s assessment will not be made in 2017, because the millage rates will not be set until January 2, 2018 at the Organizational Meeting of the Board of Supervisors. The IRS’s advisory notice can be found at: https://www.irs.gov/newsroom/irs-advisory-prepaid-real-property-taxes-may-be-deductible-in-2017-if-assessed-and-paid-in-2017. Property Values are Falling & Real Estate Taxes are Soaring Across the US . . . What’s the answer? Here’s an interesting read in Bloomberg Business Week – thanks to a reader for supplying the link. The article, “Property Taxes Reach the Breaking Point . . . Local governments are raising property taxes to plug budget gaps as home values fall – and voters are getting sick of it” discusses rising property taxes and decreasing real estate values throughout the country. According to the article, because about one in four of residents mortgages are ‘under water’ across the country, many local governments and school districts are forced into increasing property taxes to meet budget deficits. However, the problem as we are acutely aware is that much of the country’s home values have fallen dramatically. Historically, local governments have depended on property taxes as a stable revenue source. Nationally, approximately 50% of property tax revenue goes to fund school districts. How does a school district provide adequate school funding without raising property taxes beyond the scope of an individual’s ability to pay? The article looked at specific states and their property taxes – and how local governments are balancing the needs of school budgets (and deficits) with the increase in property taxes issues. In 2010, New Jersey residents received the distinction of paying the highest average property tax in the US – an average of $7.576 (an increase of 78.7% since 1999!). Surveying all 3,100 counties in the US, residents in Hunterdon County, New Jersey paid the highest median real estate taxes per year — $8,216. As a direct result of increasing property taxes, in 2010, New Jersey capped the property tax increase by local governments at 2 percent. The property tax problem is interrelated with the local school districts and includes an inequity and inadequacy inherent in real estate property taxing; and therefore filters into the problems funding public education. And today funding public education is the central problem. For years, property tax has provided the major funding source for public education but is that the solution for the 21st century? Is a property tax capable of adequately or fairly funding the school districts, especially given the current declining real estate values? To offset Corbett’s proposed budget, which includes major funding to public education, what is going to be the answer? The bottom lines for budget deficits require school districts to either lower expenses (or rely on fund balance) or continue to raise property taxes. 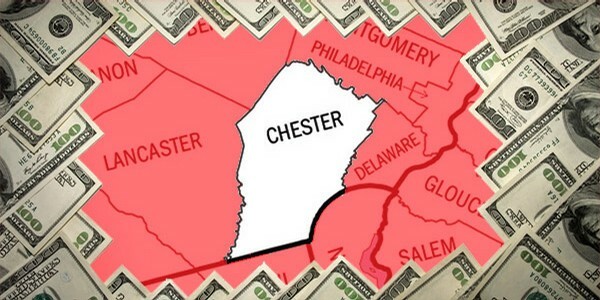 And as we read in the BusinessWeek article, Chester County currently has the distinction of the highest property taxes of all counties in Pennsylvania. Discussions on the T/E School District budget will continue on Monday, March 28, 7:30 PM at Conestoga HS. The Budget Workshop will update on the current status of the 2011-12 school district budget. The meeting will focus on the budget process and discuss remaining potential budget strategies to close the budget deficit. Click here for the agenda.